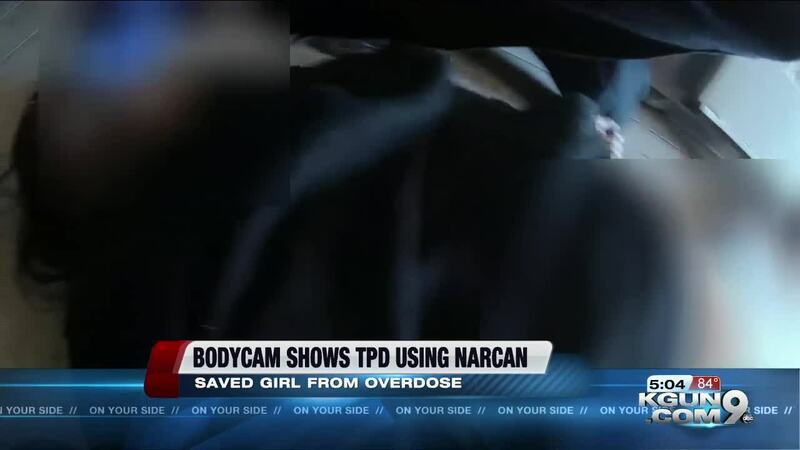 TPD administered Narcan to a teen who overdosed last year. TUCSON, Ariz. - Body camera footage shows Tucson Police saving the life of a teenager who overdosed last year. The bodycam footage may be disturbing for some. The incident happened on the southside near the area of East Ajo Way and South 6th Avenue. When Police responded they found a teen girl unconscious. The teen girl regained consciousness and was taken to a hospital. In the video police administered Narcan. Narcan is an opioid overdose reversal drug.